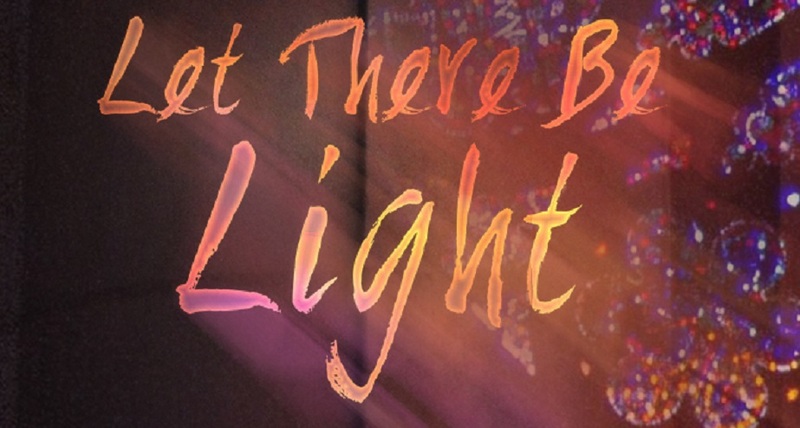 Let There Be Light follows the grand masters of stained glass art, artist Rowan LeCompte and craftsman Dieter Goldkuhle, as they create their last great series of windows for Washington National Cathedral. 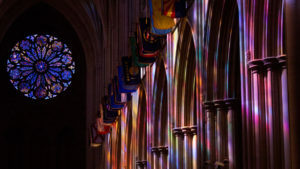 A Baltimore native, Rowan began making stained glass windows at the age of 14 and designed his first window for Washington National Cathedral (the sixth-largest cathedral in the world, with more than 200 stained glass windows), at the age of 16. He spent almost 70 years studying, drawing, and creating architectural stained glass and mosaics for a multitude of locations, including the chapels of Trinity College and Princeton University, the New York State Capitol in Albany, and more. The West Rose window designed by Rowan LeCompte. 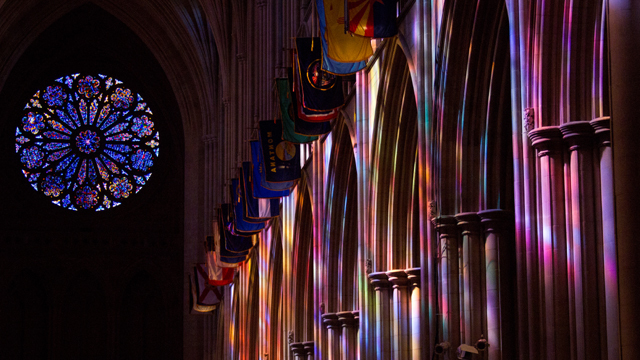 At the age of 81, Rowan was commissioned to produce what would be his last series of windows for the monumental Washington National Cathedral. The project was initially intended to take one year and be ready for the 2007 centennial celebration of the cathedral’s founding. Rowan would design and paint this enormous window while Dieter, his longtime collaborator, would select and cut the glass and do the leading and installation. The documentary chronicles their fascinating creative process, but also captures how age begins to take its toll on Rowan. The window falls behind schedule, and the centennial deadline is missed. Artistic differences and the slow pace of work cause tension to develop between artist and craftsman. Later, in a surprise reversal, an official Cathedral panel questions installing the new windows at all. 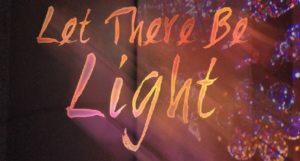 Six years in the making, Let There Be Light is told with stunningly beautiful imagery as it documents Rowan’s lifelong passion, imagination and creativity. On CPTV: Saturday, December 23, 2017 at 7 p.m.